December 18, 2014 February 2, 2016 - by admin - 31 Comments. How long have you been trying to improve your English speaking? Well you migth read well and understand what you read and hear. But can you speak English fluently? Now, this is very common problem which comes from old learning methods and boring textbooks. And studying grammar kills your speaking skills. So do not study grammar rules. Infact, listening English is the best thing you should do to improve your speaking. You can not learn speaking from textbooks. You need to listen again and again. You need to listen easy and interesting materials. So that you want to listen and learn more. Repetition is very important to understand what you hear and speak English fluently and automatically. Because you need to hear vocabulary and sentences many many times before you use them automatically. You need to become master certain words and sentences. So learn English deeply. Read and listen the same article several times to become automatic. Another way to learn English speaking is to make practice a lot. I mean, in order to speak English just use English and speak. 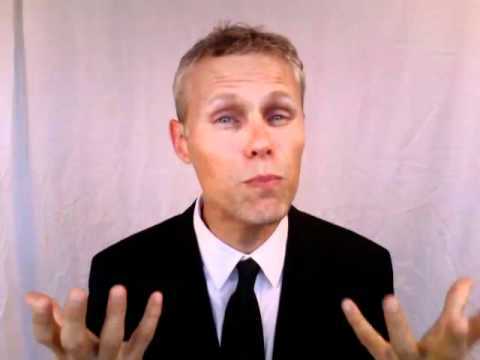 You may think you have no chance making practice and you might ask how can i practice speaking? Well, there are great lessons you can use for speaking practice. These are Power English listen and answer mini story lessons. Just you listen very interesting short story and A.J. Hoge asks lots of questions about the story all the time. All you need to do is to answer these easy questions out loud. You don’t have to answer with full sentences. A few words are fine. Please watch below video and find out more about the best English listening course to improve your speaking skills. Yes, you can improve your listening, vocabulary, pronunciation skills but more importantly boost your English speaking skills with this great all in one program the Learn Real English Conversations! Audio vocabulary lessons are more powerful than written lessons. Listen and answer story lessons. These lessons train you to think in English, understand faster and speak faster without thinking. These are the most powerful lessons in the course. Point Of View stories. Point of view lessons are the secret to English grammar. You don’t study grammar rules, you learn grammar naturally just like American children do. Main Audio lessons. 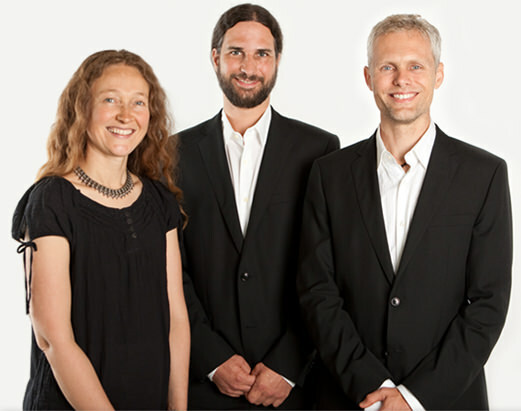 The main audios improve your listening and speaking. They also teach you powerful success techiques. These tecniques improve your English and many other areas of your life. And as a bonus, action vocabulary videos. Action vocabulary is one of the most powerful ways to learn faster and remember longer. 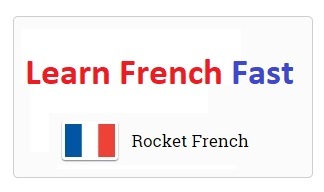 Using these simple videos, you will quicly learn new words and phrases. 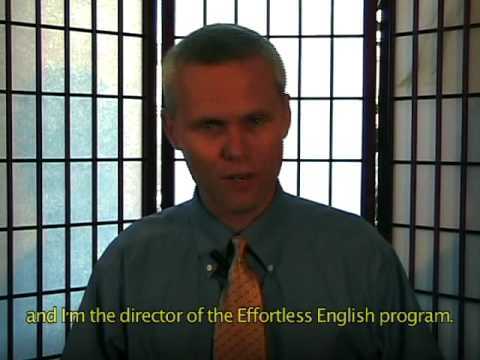 One of the best courses that is available right now is the Learn Real English course from Effortless English program, because this is a very easy course to understand. I don’t like other courses that are really difficult because they put so much importance on grammar rules. With this course it is different because I was interested in ways to learn English speaking methods in an easier way. I didn’t want to just read a page with grammar rules, I was interested in learning to speak English fluently. I found the Learn Real English course, and this six month course is a great option for anyone that is considering the option to learn English speaking methods, if they want to improve their ability and learn to speak English fluently then this is surely the course to take. With Learn Real English, it makes the journey of learning English more fun and easy. When you try to learn English speaking ways, you don’t have to be afraid or nervous, this program will give you the confidence to be able to speak English fluently. You will not have to worry that other people don’t think that you cannot speak the language well. Many courses are available to teach English, but none are as good as Learn Real English. For anyone who is interested in bettering their language ability, and if they really want to learn English speaking ways, and work on improving their English so that they can speak English fluently, the Learn Real English course can help anyone achieve that goal. I am happy that I took the Learn Real English because it was a really good value and the course will help you to learn in a very easy way, because of this anyone can learn English speaking ways, regardless of how old they are or where they come from. If you want to, and you are interested in learning to speak English fluently , then you can achieve this goal if you take the right course and you put in the work. The Learn Real English will not put the language in your mind for you, if you want to learn English speaking ways, and speak English fluently, then you need to put in the work and practice. The Learn Real English course will help you to do this and you will see that when you want to learn English speaking ways, and when you want the ability to speak English fluently, that it isn’t that difficult when you make a goal and put in the effort. The Learn Real English course makes this an easy journey for you, with this course you can learn English speaking sayings, and at the end of it you will really be able to speak English fluently. There is no way that you can take this course and not improve. If you do the work that is included in the course, then at the end you will really see a difference in the way that you talk with others. 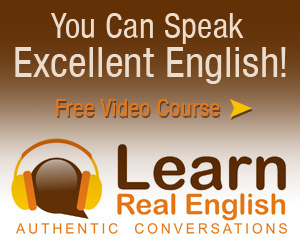 Click here to download Learn Real English Course! 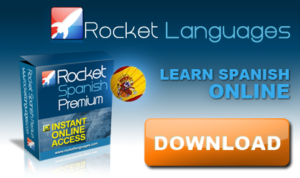 This course will really improve your ability to speak English. It will do a better job than any other course would, it is designed to be easy to follow along with and that is what makes it so successful. Anyone can take this course if they want to better their English skills, and after they finish the course they will succeed because they will have so much help through the course to learn more about the language. Click here to buy Learn Real English Course with 97 usd now! Could you helpl me to improve my English? Hi Hatem, the best way to improve English is listening. You should listen easy and interesting materials repeatedly everyday. So you will speak English fluently soon. Thanks dzungle, this is the most useful English listening and speaking course which has lots of videos and mp3 audio lessons. i need to learn English for getting good job. Hi Russel khan, imagine yourself when you speak English fluently. Oh yes, you can find a great job with your excellent English skills. Hi dereje, you should read and listen easy and interesting materials everyday again and again to improve your speaking skills. You should focus especially on listening. Because listening is the key to speak English fluently. I am so surprised upon opening this site because very interesting especially to those who are being embarrassed of being poor in speaking English and in grammar. Very helpful and useful to everyone.Thanks for this. I want to learn English while new things and wanted to speak English good moment to want to listen. Kind of way to learn to excel. i hope you can help me your Answer. Thanks you. how can i learn english sphoken and listening . ok if someone here and hear me now i’id like to ask him or her . I can speak english but not fluently i wish to any body help me what i should do please?